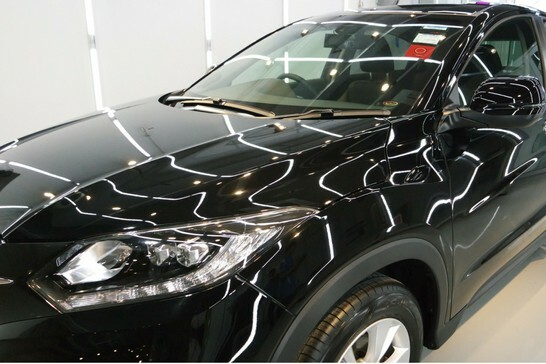 Looking for a reliable car polishing company to get your car looking like brand new and in tip-top condition? With the right equipment and training, our crew at 5D Solutions can easily get your car sparkling. No longer do you need to spend hours over the weekend cleaning and polishing your car because we can easily do that for you. In addition, because we use premium products like KubeBond from CHOOSE NanoTech, your car stays shinier for longer and the car paint surface is also protected from bird droppings and tree sap. Want to give your car a brand new shine? Drop by our workshop to see a live demonstration and learn what we can do for you or make a booking right now to send your car for polishing! I read plenty of reviews about the car polishing services that 5D Solutions offered so I decided to come down and take a look for myself. Stanley went through with me exactly what they could do and also introduced me to the Ceramic Pro paint protection system. My car doesn’t stain that easily now! Will go back for more monthly car washes. Did my coating in January 2016 and can really see the benefits. Every time it rains I just need to give my car a simple wipe and it likes like brand new again. Don’t need to spend that much time cleaning it anymore. Well done Stanley and team! Collected my car a few weeks ago after sending it for polishing at 5D Solutions. It has really made a big difference. My car looks really shiny and even my friends commented about it. Will definitely recommend more friends to come and try their polishing services. Using proper equipment and methods, we will give your car a good wash down to ensure that all stains and debris are removed from the clear coat. 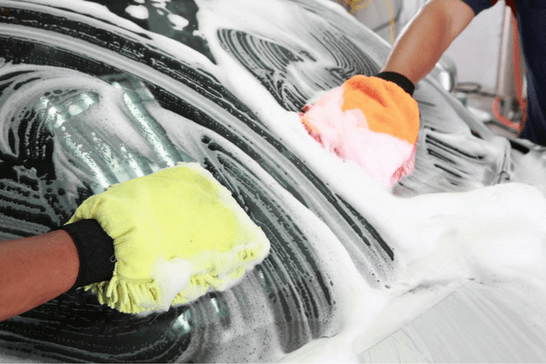 Our manual car wash methods will ensure that there will be no swirl marks and dents left on your car. In addition to the basic car washing and car polishing services that we provide, we also provide car paint protection services for our customers. The nano-ceramic coating from KubeBond is unlike any wax or sealant. If offers permanent protection that is self-cleaning and also corrosion resistant. At 5D Solutions, we make sure that are staff and crew and well-trained in order to deliver maximum polishing results to your customers. This is also to ensure that your car is in pristine condition when you get it. With the proper equipment, we are able to complete the polishing more quickly and efficiently. We also only use premium products to ensure that there is no damage to your clear coat during the polishing process. Maintaining your car is part and parcel of owning a car. Keeping the exterior clean helps maintain the resale value while keeping the inside clean makes sure that your car is hygienic and safe. Wait no longer, with all the great reviews we have received so far, we are confident that our car polishing services can get your car looking like brand new again! Contact us to find out more!